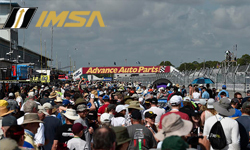 Last Saturday’s 67th Mobil 1 Twelve Hours of Sebring Presented by Advance Auto Parts was a tremendous success both on and off the racetrack for IMSA and the IMSA WeatherTech SportsCar Championship. 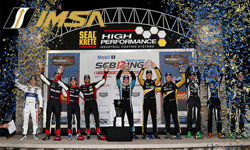 No manufacturer has come close to Porsche’s success through the years at Sebring International Raceway, and while Saturday’s win in the Mobil 1 Twelve Hours of Sebring Presented by Advance Auto Parts brought its win total at the track to 96, this one certainly didn’t come easy. 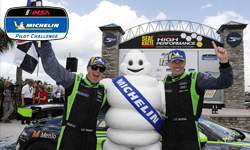 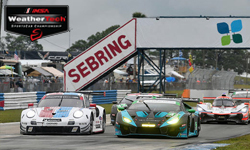 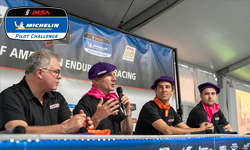 On a steamy Friday afternoon at Sebring International Raceway, Carbahn Motorsports clinched its first victory in the IMSA Michelin Pilot Challenge the way every team would wish to do so � in dominating fashion. 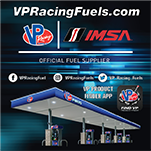 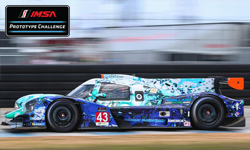 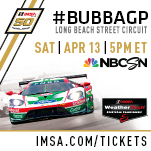 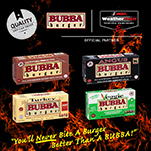 On a hot and muggy day at Sebring International Raceway � one of the most physically demanding road courses in the world � it was one of the few cars in the IMSA Prototype Challenge field with only one driver that came away with the checkered flag Thursday. 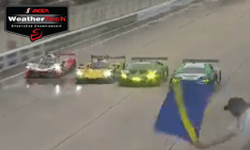 Turning Sebring into a Super Speedway is no problem for IMSA drivers!